When AFLW best and fairest Erin Phillips was growing up, people would tell her father they felt sorry he did not have a son to continue his legacy at the Port Adelaide Magpies. 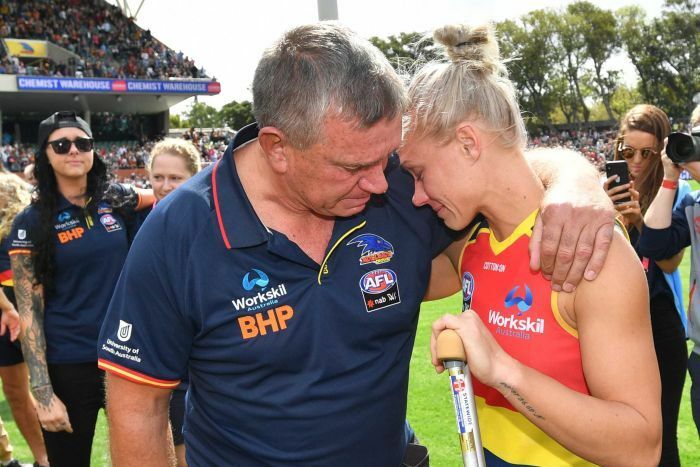 However, Greg Phillips has said he would not trade any of his daughters “for the world” and even Port Adelaide fans had “a special feeling in their heart” for the Crows player. 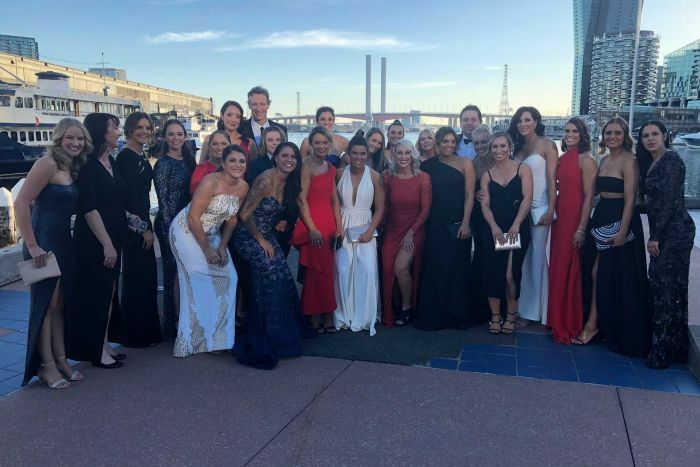 Erin Phillips won her second best and fairest honour in the league’s awards night in Melbourne yesterday after the Crows won the AFLW grand final on Sunday. Greg played 343 games for the Magpies in the South Australian National Football League (SANFL) — including eight premierships — and another 84 games for Collingwood in the Victorian Football League. He had three daughters but no sons. “Many, many times people used to say to me ‘which one of them did you want me to trade in? '” he told ABC News. 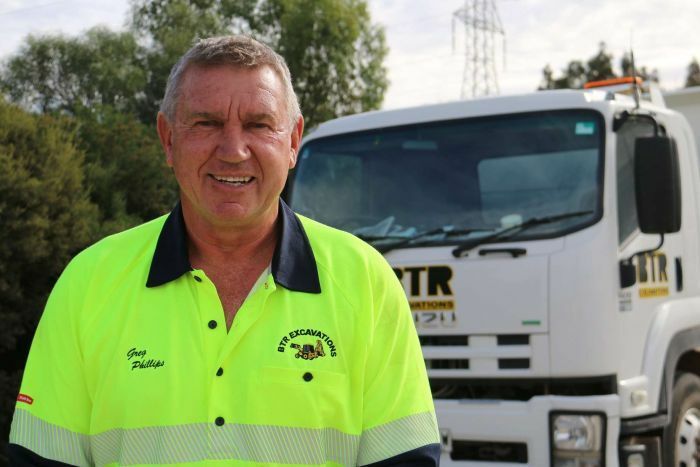 “Everyone loved Port Adelaide and they wanted players to have sons. Despite the intense rivalry between the Crows and Port Adelaide, Greg said Port fans now had “a special feeling in their heart to say ‘well done, Erin'”. Erin was also named best on ground in the AFLW grand final — her second time scoring that honour — and is expected to win the Crows’ best and fairest award at a ceremony in Darwin on Friday. Speaking after winning the award yesterday, Erin said when she was born “people felt sorry for him because he didn’t have a son to play footy some day and carry the Phillips name”. Erin ruptured the anterior cruciate ligament in her left knee during the game on Sunday. She was in hospital for scans on Sunday night rather than joining her teammates in celebration. She said it was too early to know whether she would continue playing AFLW next year. “I’ve just got to go next week, have surgery, get through the initial stages of the rehab and figure out what’s next from there and decide what’s best for me and my family,” she said. “Obviously when you have kids it’s a full-time job and you’ve got to have four limbs working properly to chase them around so we’ll see how we’ll go. “If I do feel right I’ll certainly do that, but if that’s the last game I play, that’s the perfect way to be sent off in anyone’s career. Erin has two children with her wife, Tracy Gahan, who she played basketball with in the WNBL. Gahan is pregnant with their third child. Erin said she was surprised how emotional her wife was during and after the grand final. “She has definitely calmed down a bit,” she said. Erin said it would be a huge honour to have a stand named after her at Adelaide Oval. None of the stands at the stadium are named after women. Erin Phillips wipes away tears after winning the best and fairest award. The AFL’s head of women’s football, Nicole Livingstone, backed calls for Adelaide Oval’s Riverbank Stand to bear her name. “Obviously, Adelaide Oval is a special place for me,” Erin said. There are also calls for the AFLW best and fairest award to be named the Phillips Medal. SA Best MLC Frank Pangallo said a statue of her should be installed outside Adelaide Oval. Others sportspeople honoured include former North Adelaide footballer Barrie Robran and Australian cricketer Jason Gillespie. 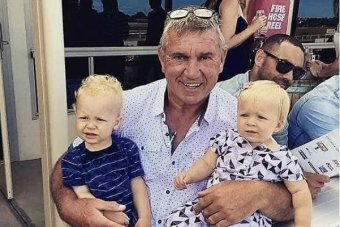 Greg told the ABC he was at home looking after his grandchildren during last night’s award ceremony. He said it was an “excellent night”. “We were all very loud and happy and jumping around,” he said. In relation to naming an Adelaide Oval stand after his daughter he said “as a dad I say go for it” but naming the best and fairest medal after her might be more likely given that she won the inaugural award in 2017. “As a proud dad, I would accept anything,” he said. Erin will return to the United States in the AFLW off-season in her role as assistant coach for the Dallas Wings WNBA team.